There is a beautiful soul in the world, and it is that of Cathy Eberhardt. Cathy lives in Kentucky USA and is Cookies Crafts Canvas. Cathy has Lupus. 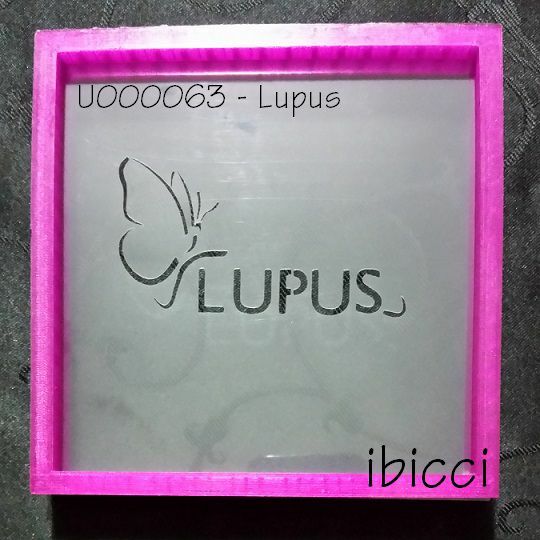 We crossed paths over the internet with our cookies a while back, and when I found out that she was fundraising for a Lupus Walk, I created the Lupus and wolf stencils and sent them to her Free of charge. I just loved seeing her cookies (see below), especially those beautiful backgrounds. May is Lupus Awareness Month, and in 2017, World Lupus Day is May 10th. 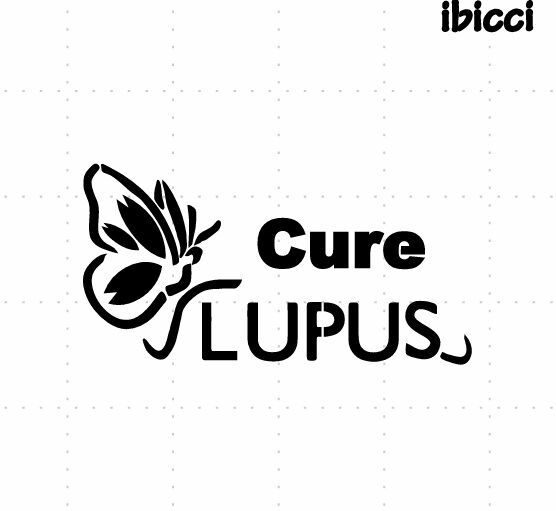 The original Lupus stencil has been updated to now include the word Cure and includes the updated Butterfly. We've left the original photo there as it is the one Cathy used on her cookies (U63) but we will be shipping only the new one (U528. All Awareness stencils on this site are permanently discounted in support of such causes.